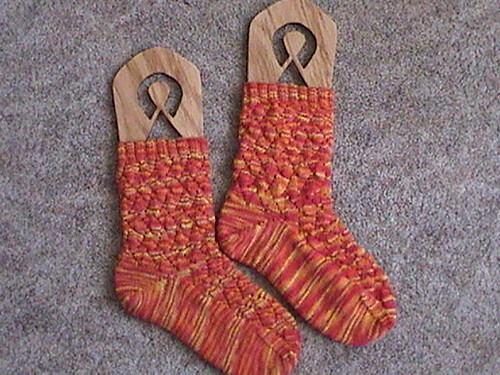 Fire Walk Socks Done, originally uploaded by EeyoreknitsinME. My very first design! 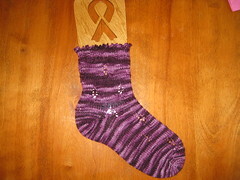 The color of these socks (Cherry Tree Hill Supersock in Sugar Maple) reminded me of a campfire, so these are knit in a modified flame lace with a short row heel. The flames lick all the way to your toes. Other variations could be blues for waves, or greens for blades of grass. Flow Motion Done & Pedal pushers begun.